Applebee’s® is the perfect restaurant to take your family. 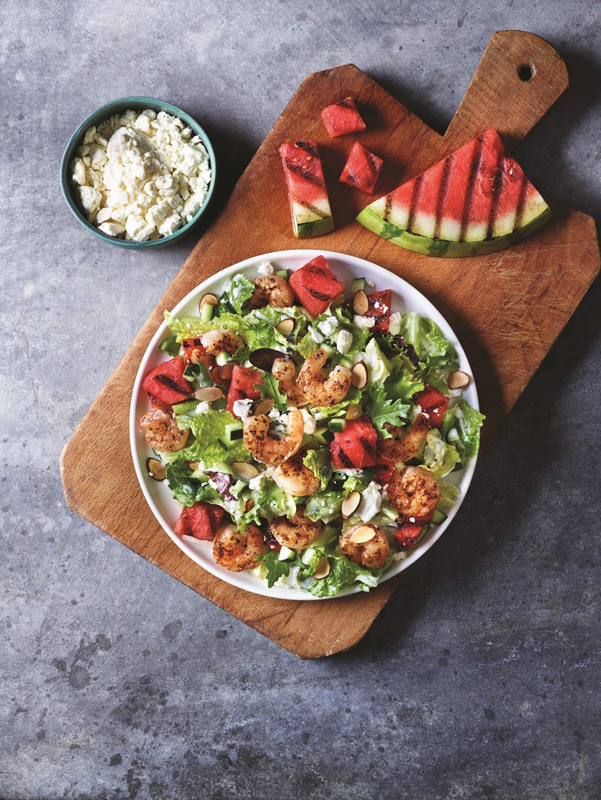 They offer a wide variety for everyone including steaks, burgers, sandwiches, lunch, dinner, healthy options, late night, happy hour, take out and now Applebee’s® unveils their new wood fired grill salads with fresh flavors of summer. It’s a new twist on a seasonal staple starting at $8.99. There’s nothing better than a fresh, delicious salad in the summer time! Applebee’s Neighborhood Grill & Bar® is giving the salad a smoky twist with the launch of NEW Wood Fired Grill salads, available today and starting at $8.99 at participating restaurants. Prepared on the new American-made wood fired grills, Applebee’s is now serving new made-to-order salads that pair tender shrimp, precisely-grilled chicken and Hand-Cut USDA Choice Top Sirloin with seasonal summer ingredients and made-in-house dressings for a unique salad experience. Our new Wood Fired Grill salads truly stand out and offer our guests an unexpected salad that has all the best flavors of summer,” says Cammie Spillyards-Schaefer, vice president and executive chef of Applebee’s. “The bold flavors from the Wood Fired Grills are the perfect complement to the refreshing produce we typically crave in the summertime. NEW Southwestern Steak Salad: Hand-Cut Wood Fired USDA Choice Top Sirloin Steak paired with chimichurri, pico de gallo, corn and black bean salsa, cheddar, crispy tortilla strips and a creamy house-made cilantro ranch dressing. NEW Grilled Watermelon and Spicy Shrimp Salad: Mixed greens, cucumbers, feta, almonds and house-made creamy mint-Greek yogurt dressing. Also available with Spicy Blackened Chicken. NEW Spicy Blackened Grilled Chicken, Avocado and Grapefruit Salad: Mixed greens, pickled in-house red onions, cilantro leaves and house-made champagne vinaigrette. NEW Crispy Chicken ‘N Spicy Cornbread Salad: Mixed greens, made-in-house jalapeno cornbread croutons, grape tomatoes, shredded cheddar, applewood-smoked bacon and buttermilk dressing. I’ll be trying these salads soon so I’ll definitely update you! They look so scrumptious and I can’t wait to try them! For more information on the latest new menu offerings and deals from Applebee’s, check out the online menu and stop by your neighborhood Applebee’s. *See details and official rules at www.beesmeetup.com. No purchase necessary. Void where prohibited. Sponsored by BTC Revolutions, 304 Arlington Rd., Brookville, OH 45309; Cohn & Wolfe, 200 Fifth Avenue, New York, NY 10010; and Applebee’s International, Inc., 450 N. Brand Blvd., Glendale, CA 91203. This Sweepstakes is offered and open to persons who are: (a) legal residents of the United States (includes Washington DC); and (b) at least 18 years of age or older on the date of entry in this Sweepstakes. Employees and directors, and their immediate family members, of the Sweepstakes Entities, and their parents, affiliated and subsidiary companies are not eligible to participate in this Sweepstakes. Applebee’s Neighborhood Grill & Bar offers a lively bar and grill experience combining hand-crafted drinks and simple, craveable American fare with flare. All Applebee’s restaurants are owned and operated by entrepreneurs dedicated to serving their communities and offering the best in food and drinks with genuine, neighborly service. With more than 2,000 locations in 49 states, Guam, Puerto Rico and 15 countries, Applebee’s is one of the world’s largest casual dining brands. Applebee’s is franchised by subsidiaries of DineEquity, Inc. [NYSE: DIN], which is among the world’s largest full-service restaurant companies. Whick Wood Fired Grill Salad from Applebee’s® are you most excited to try? Comment below and share with us! And if you submit a salad for the giveaway be sure to drop the link to the instagram image below in the comments. We’d love to check it out! Grilled Watermelon and Spicy Shrimp Salad, yum, yum!!! Southwestern Steak Salad sounds amazing. NEW Crispy Chicken ‘N Spicy Cornbread Salad sounds the best. While I love going to Applebee’s and go to catch up with friends, none of these new salads sound good to me. The Southwestern Steak Salad sounds fantastic! While it doesn’t sound too healthy. I bet the Crispy Chicken ‘N Spicy Cornbread Salad is super good! Would love to try the Southwestern Steak Salad! The Crispy Chicken ‘N Spicy Cornbread Salad. 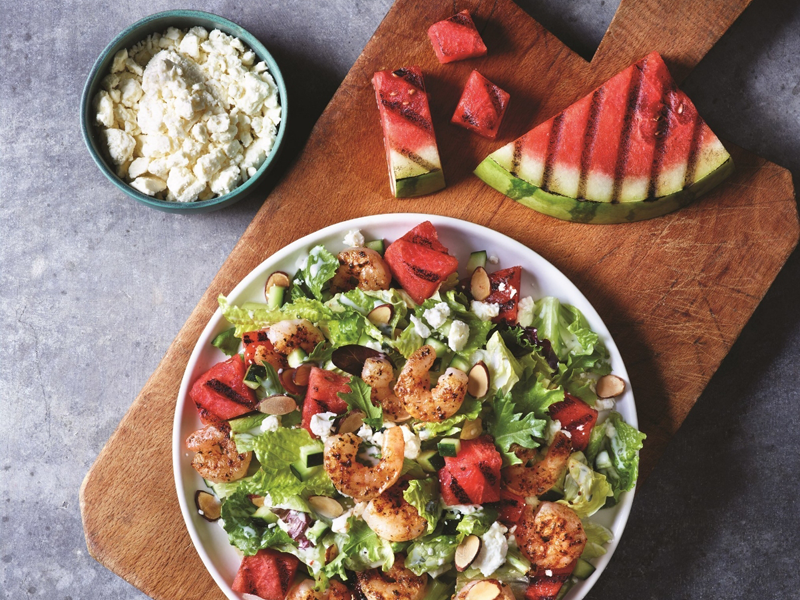 I want to try the Grilled Watermelon and Spicy Shrimp Salad. Yum! Spicy Blackened Grilled Chicken, Avocado and Grapefruit Salad. I want to try the Grilled Watermelon and Spicy Chicken Salad. Southwestern Steak Salad sounds delicious! The Southwestern Steak Salad sounds amazing! I would like to try the southwestern steak salad! I would love to try the Grilled Watermelon and Spicy Chicken Salad. I would like to try the Southwestern Steak Salad.